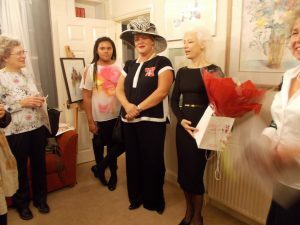 18 October 2017 Ms Jurita Kalite welcomed her new guests to Lady Ju Gallery. 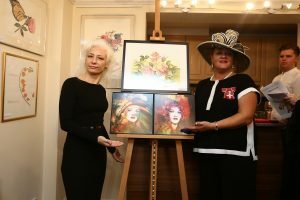 Ms. Natasha Hart MBE herself went to honored with a visit the Ms Jurita Kalite Exhibition who welcomed him warmly, especially his family daughter and mum’s. Ms Jurita Kalite was appreciate to Ms. Natasha Hart MBE that has stayed at artist’s exhibition to give comments below for the rest of the world to see. 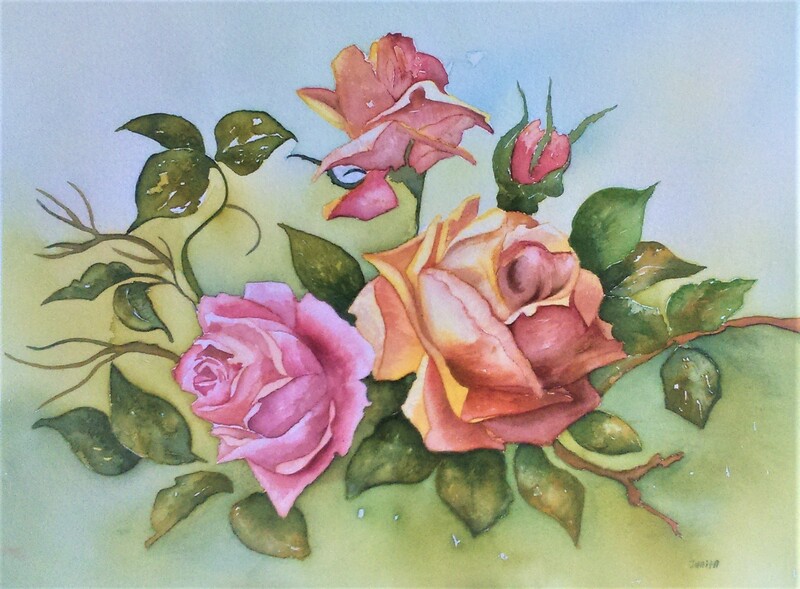 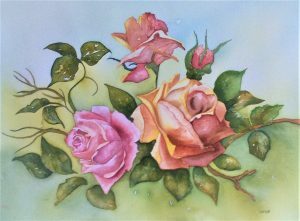 “Roses ancient” original artwork by Ms Jurita Kalite from artist’s collection has been present as gift in to private collection of the Ms. Natasha Hart MBE.